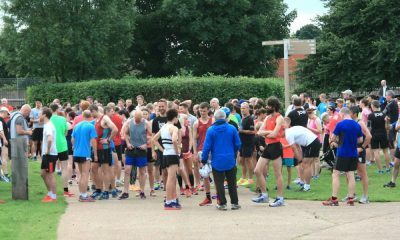 Tonosa and Cleary take the titles at the 50th Dunboyne Road Race, while Irish masters athletes secure 41 medals in Torun and Fionnuala McCormack impresses in Aarhus. 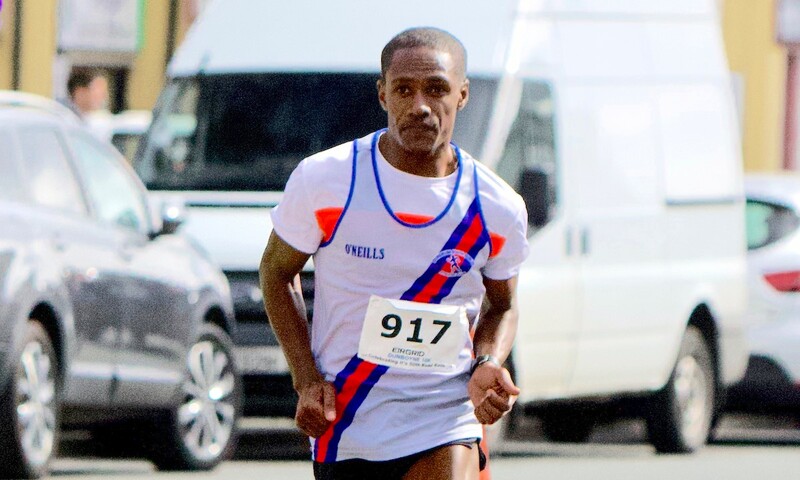 Hiko Tonosa and Barbara Cleary were the winners of the 50th Dunboyne Road Race which, for the first time, was held over the 10km distance on Sunday (March 31) and attracted an entry of close to a thousand runners. Tonosa, of the Dundrum South Dublin club, was the class of the field in the men’s race and narrowly missed out on breaking 30 minutes with a winning time of 30:04. In a close battle for second place, Eoin Everard of Kilkenny City Harriers used his track speed to outsprint his clubmate Brian Maher with the pair given times of 20:13 and 30:14. First wheelchair was Jack Agnew of the TORC club in Belfast with a time of 26:50. Cillian Dunne was second in 27:49 and Sean McCullagh third in 29:46. 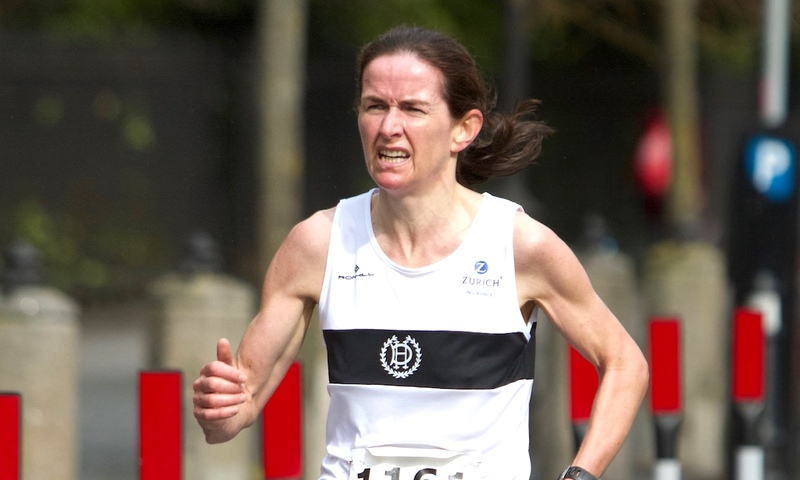 Cleary is continuing an impressive comeback after a long injury break; her winning time of 35:35 saw her finish 25 seconds clear of her Donore Harriers team mate Ide Nic Dhomhnaill who finished in 36:00. Third was Niamh Devlin of DSD AC in 37:37. Among the notable winners for the host club, Dunboyne AC, were Phelim Glynn first M50 in 34:05 and Mary Martin first W70 in 50:48. Raheny Shamrock, led by Cillian O’Leary in fourth place, won the men’s team competition by some distance from host club Dunboyne AC and Drogheda and District. Winning the women’s team competition was Mullingar Harriers, with Dunboyne AC a close second and Raheny Shamrock third. The success of the race means that, along with the Dunshaughlin 10km, Meath now has two top quality 10km races on fast, flat courses. Either would serve as a fitting host for a national championships. 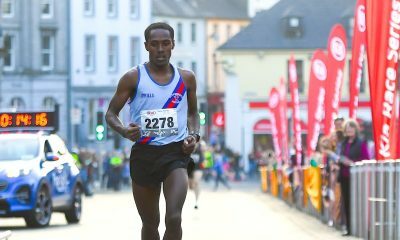 Cathal O’Reilly was the winner of the New Inn 5km in Co Tipperary on Sunday in 16:32. Finishing second was Laura Shaughnessy of Galway City Harriers who was first woman in 17:14. 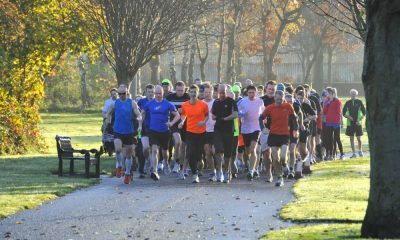 Sean Doran of C&E Products was the winner of the Dublin City Council BHAA 4-Mile in St Anne’s Park, Raheny on Saturday. Doran finished in 20:57, with Paul Fleming of Ornua second in 21:08 and Colm Cassidy third in 21:13. Catherina Mullen, a guest runner, was seventh overall and first woman in 22:31. Ellie Hartnett was second in 23:15 and Orla Manley third in 25:43. Ireland finished 11th on the medals table at the World Masters Indoors in Torun, Poland which concluded on Saturday. Joe Gough’s double in the M65 800m and 1500 was the games highlight for a strong Irish team that took 41 medals in total with ten of them gold, according to the official list. Other winners were Snezana Bechtina of Clonliffe Harriers winner of the W35 200m, Anette Kealy of Rahney Shamrock, 8km cross country, Ann Woodlock of Donore Harriers W80 3000m, Mick Byrne of Sli Cualann ACM55 10km, John McDermott M75 400m and Sean Breathnach of Galway City Harriers in a nail-biting M40 discus throw that came down to his final throw. Ireland also took team gold in the M55 10km and 8km cross-country and in the W60 half marathon. 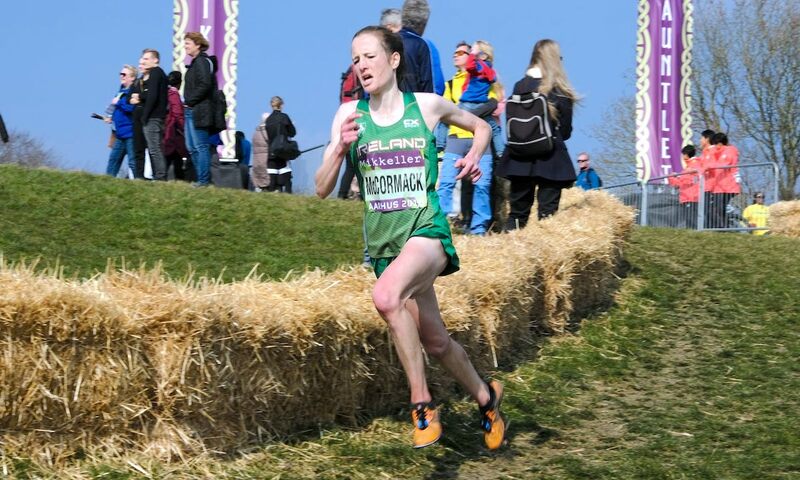 Fionnuala McCormack of Kilcoole AC finished 18th and second European in the senior women’s race at the World Cross Country Championships in Aarhus, Denmark on Sunday (March 30). McCormack’s time of 37:59 for the tough 10,000m course put her just eight seconds behind Anna Emilie Moller of Denmark who finished 15th. Race winner was Kenya’s Helen Obiri who became the first female athlete to hold three world titles – she already holds the world indoor 3000m and outdoor 5000m titles. Ireland’s only other representative was Sara Treacy of Dunboyne AC who finished 73rd in 40:50. Ethiopia won the team title from Kenya and Uganda, with Great Britain a distant fourth. In the men’s senior 10km, Sean Tobin of Clonmel AC finished 62nd in 34:33, with national champion Kevin Dooney of Raheny Shamrock 105th in 36:09. Race winner was Joshua Cheptegei, who was leading Uganda to a comprehensive team victory over Kenya and defending champions Ethiopia. Not even an athlete as talented as Jacob Ingebritsen could break the stranglehold of East Africans on international cross-country in the U20 men’s 7.7km. The European champion finished a brave 12th in a race won by Milkesa Menghesa of Ethiopia in 23:52; Ingebritsen was 47 seconds behind in 24:39. 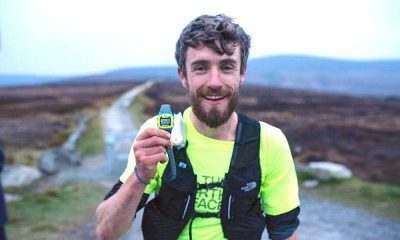 For Ireland Darragh McElhinney of Bantry AC finished 53rd in 27:00 and Jamie Battle of Mullingar Harriers 68th in 27:24. Ethiopia, Uganda and Kenya were the top three teams; in the women’s U20 race the top three teams were Ethiopia, Kenya and Japan. Former world masters mountain running champion, Robin Bryson, running in the M50 age group, was a comfortable winner of the Annagh Hill race in Co Wicklow on Sunday. Bryson finished the steep 10.5km course in 61:42 with Barry Murray second in 62:13 and Mikey Fry a close third in 62:16. First woman was Becky Quinn in 71:52. 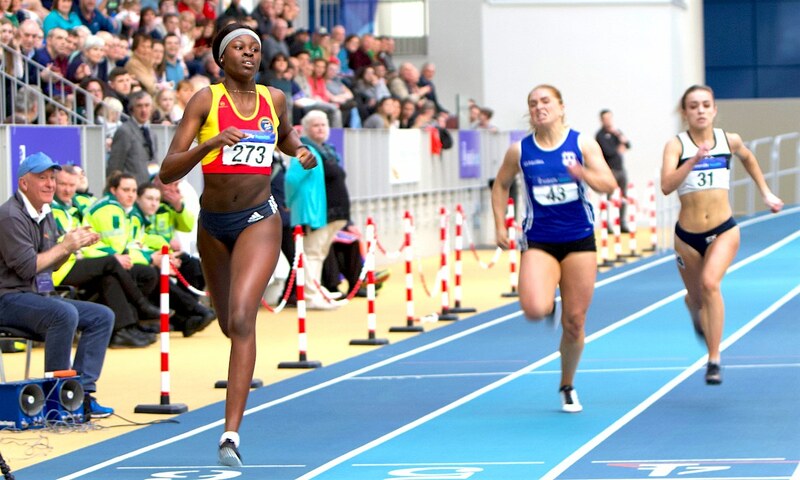 Irish international athletes Patience Jumbo Gula and Rhasidat Adeleke were among the double winners at the opening days of the National Juvenile Championships in Athlone on Saturday and Sunday (March 30/31). Jumbo-Gula, of the St Gerard’s club in Dundalk, won the girls’ U19 60m title in 7.44 secs on Saturday and followed that up with victory in the 200m a day later in 24.79. Adeleke, from Tallaght AC, competing in the U18 age group, won the 60m in 7.45 secs and the 200m in a new record time of 24.09. In the U18 boys’ 60m, Israel Olatunde of Dundealgan AC improved the record to 6.90 seconds, beating Zak Irwin’s time of 6.93 set in 2013. Earlier this season, Olatunde set a new Irish U18 record of 6.84, also in Athlone. Fastest time of the day came from Leevale’s Conor Morey who won the boys’ U19 title in 6.84 secs; a day later, he won the 200m in 21.87. Over 400m, 17-year-old Robert McDonnell of Galweay City Harriers dipped under 50 seconds to take the boys’ U18 400m in 49. 88 secs and followed that up a day later with victory in the 200m in 22.07. Winning a closely contest U19 girls 400m was Simone Lalor of St LOT AC in 56.16; Rachel McCann of North Down was second in 56.47 and hurdles specialist Miriam Daly of Carrick-on-Suir AC third in 56.49. Tadgh Donnelly of Drogheda and District beat Sligo’s Michael Morgan to win the boys’ U18 1500m in 5:05.11. Fastest girls’ time came in the U19 race won by Lauren Murphy of Cilles AC in 4:46.11. A day later, Louis O’Loughlin of Donore Harriers showed a welcome return to form when he won the boys’ U19 800m in a new championships best time of 1:52.85. Cian McPhillips of Longford AC clocked 1:57.94 to win the U18 boys’ 800m, while winning the U17 title in 1:55.46 was Aaron Shorten of St LOT AC. Fastest girls’ time came in the U17 race won by Ava O’Connor of Tullamore Harriers in 2:12.54. In the girls’ U16 race, a winning time of 2:13.02 from Victoria Lightbody of City of Lisburn AC was a new championships best. In the high jump, a 2.05m effort from Nelvin Appiah of Longford AC gave him the U19 boys’ title. Una Brice of Leevale AC set a championships record of 3.0m in the girls U16 pole vault.